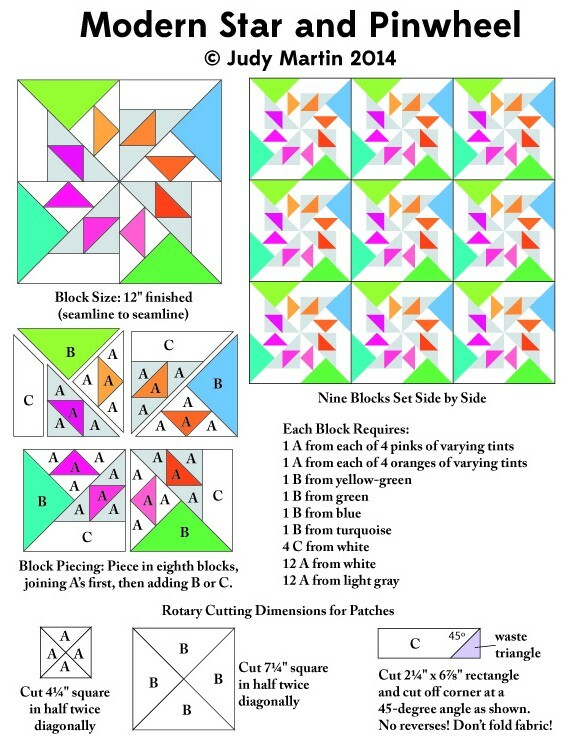 Every now and then Judy Martin will post a new block for you to download and make. She'll give you a colored drawing of the block, complete rotary cutting and piecing diagrams. Each block stands on its own merits. 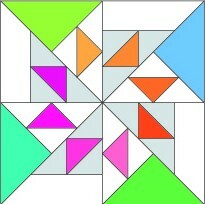 The blocks won't be combined later to make a sampler quilt, though you're welcome to do that if you wish. The block sizes will vary. These free blocks won't be archived. To get them all, you'll need to check back periodically. Have fun! If you're having trouble printing the Block Of The Moment, click here for the jpg image by itself or here for the pdf image.